In this day and age we put a premium on efficiency and versatility and the 2019 Honda Fit has both of those attributes in spades. Flexible interior seating allows 2019 Honda Fit owners to easily transition between passengers and cargo while having the ability to handle multiple combinations of both. An edgy and athletic exterior design exhibits an aerodynamic and adventurous appeal. 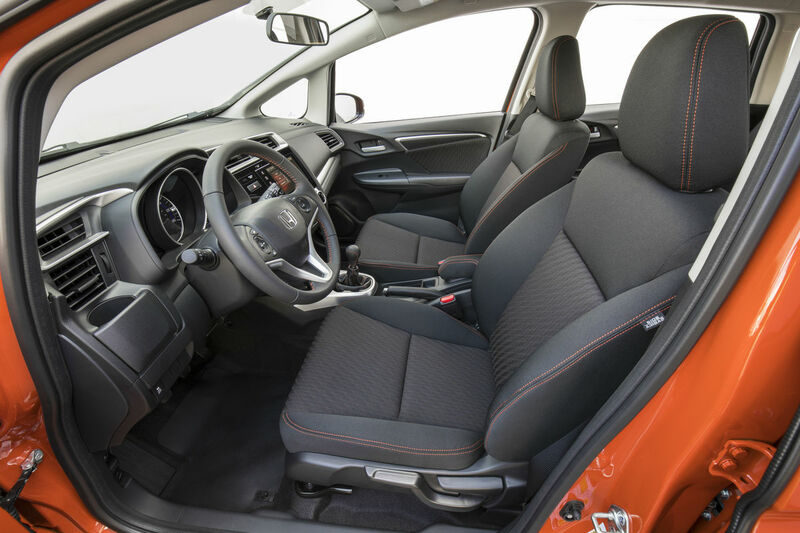 And on the interior of the 2019 Honda Fit you will find spacious seating along with advanced technology features for a comfortable and connected ride for all passengers. Get to know all the engine specs and interior features of the 2019 Honda Fit below. The standard engine of the 2019 Honda Fit is a 1.5L 16-Valve Dual Overhead Cam In-Line 4-Cylinder engine that delivers 130 horsepower and 114 lb-ft of torque. This 1.5L In-Line 4-Cylinder pairs with a standard 6-Speed Manual Transmission to achieve EPA fuel economy estimates of 29 MPG* in the city and 36 MPG* on the highway. The 2019 Honda Fit EX-L gets equipped with a standard Continuously Variable Transmission (CVT) and the CVT is an available option on the LX, Sport, and EX trim levels as well. When the 1.5L 4-Cylinder works with the CVT it averages EPA efficiency estimates of 31 MPG* city driving and 36 MPG* cruising the highway. 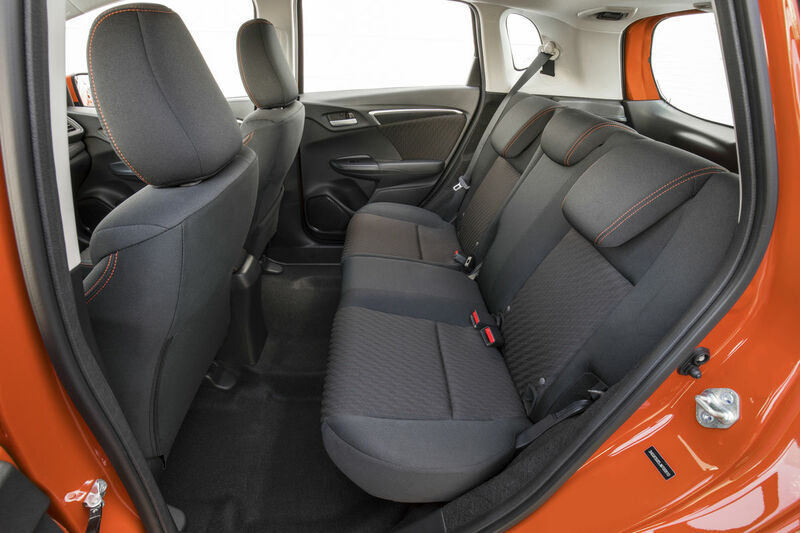 The cabin of the 2019 Honda Fit has space for five people and provides them with 95.7 cubic feet of overall passenger volume. Behind the second-row seat there is 16.6 cubic feet of dedicated cargo space and with the 60/40 Split-Folding 2nd-Row Magic Seat® folded flat the 2019 Fit can handle 52.7 cubic feet of cargo. While sitting comfortably in the 2019 Honda Fit, passengers will enjoy the standard 5” Color Touchscreen Display with Bluetooth® connectivity. When choosing to upgrade past the base trim level owners get rewarded with a 7” Color Touchscreen Display with Android Auto™, Apple CarPlay™, and a 180-Watt 6-Speaker Stereo System. And the 2019 Honda Fit EX-L trim level gets loaded with Leather-Trimmed Seats and Heated Front Seats too. Take the 2019 Honda Fit for a test drive today at Van’s Honda in Green Bay, WI to experience all its exciting specs and features. When Does the 2019 Honda Passport Go On Sale? What are the Performance & Efficiency Specs for the 2019 Honda Insight? Does the 2019 Honda Insight Get Equipped with a Hybrid Drivetrain? How Much Cargo Can the 2019 Honda Odyssey Carry? This entry was posted on Monday, June 25th, 2018 at 3:17 pm	and is filed under Honda Fit, New Model, Specs & Features. You can follow any responses to this entry through the RSS 2.0 feed. You can leave a response, or trackback from your own site.